This links to the Transfer paper Chapter 4 on the mechanics and testing of these hooks, often by Gorb. This paper details the development of a family of parts using the functional ecology, field testing and morphological recording of Parts I and II in this sequence of papers. A. minus is used to form a kernel to the family of parts, all of which are hook shaped attachments manufactured from a plastic. There are essential differences between the biological species and the manufactured analogue not least the choice of component material since cellulose, the component anisotropic biomaterial, does not have an artificial equivalent. Scaling effects are once more introduced into the discussion in terms of future work and field testing. Parts I and II have been aimed at demonstrating S N Gorb’s model biomimetic approach for the generation of a product. In the previous two papers the basic ecology of the species has been described and the reasons for the choice of structure for study based upon the hypothesis of Nicklaus , an engineer. Three methods of morphological study have been described which can be used for any small structure, one of which is relatively new when applied to these structures (see ). These three methods vary in terms of hardware requirement which has implications on cost, versatility and memory storage. 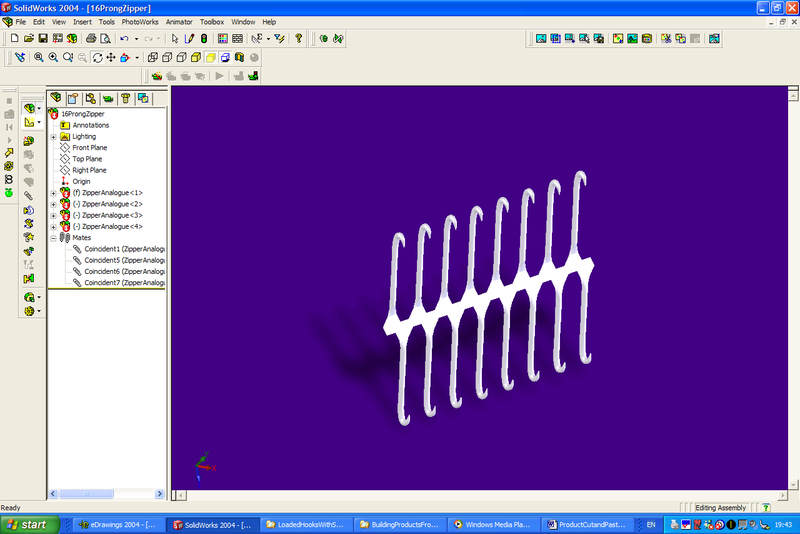 The mathematical analysis of the hook under static loading was demonstrated in Part I indicating that these cellulose hooks are prone to failure due to induced shear. In tadem with this family of attachment devices is a family of substrates which permit probabilistic attachment of varying qualities and properties. The morphology of the A. minus hook has been accurately recorded and its performance under tension has been tested and compared with those of four other species . A. minus is supposed to be the biological inspiration behind Velcro  and it is interesting to note that functionally, the Velcro hook resembles that of C. lutetiana more than it resembles the hook of A. minus. In all five species the burrs in their various formations and numbers form probabilistic fasteners. From Nachtigal  and Gorb  a probablistic fastener is a random hooking mechanism. A reusable attachment device is a releasable attachment mechanism by one structure, i.e. there is no single matching structure required for attachment to take place. This definition does not specify that the structure (the hook) should be part of a field of structures nor that interaction between component structures is a necessary part of attachment. Considering Gorb’s work on frictional parabolic fasteners  his model specifically includes the interaction of neighbouring elements as contributing directly to the attachment force. The hooks of all five species in this paper form parts of fields of structures of different numbers but the hooks do not interact to increase their individual attachment force. They all act individually and their collective action taken to serve to arithmetically increase the overall attachment of the fruit to the host. 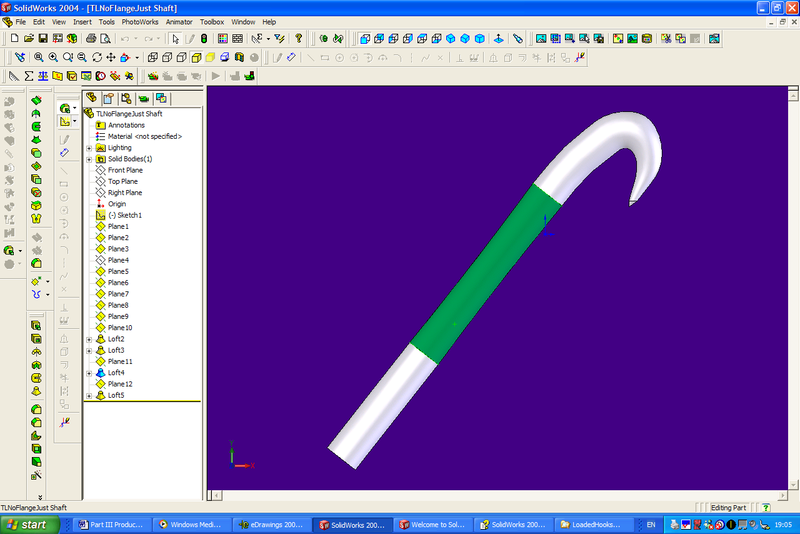 Any other response such as hook fracture and shaft fracture would result from the fruit being held in place on the parent plant and would render the hook useless for its intended purpose which would be contrary to an evolutionary strategy. Only C. lutetiana has a curve which flexes to release the substrate and only G. aperine has a hollow base at the bottom of its shaft which allows a multi-degree of freedom flexure. The following is compiled from the research of Parts I and II. The tensile testing upon Arctium minus confirmed that S N Gorb’s conclusion with regards to hook strength, that shaft strength and then hook radius was of primary importance morphologically speaking, were true to a degree, but that the material resistance to shear induced by bending was more important than the influence of bending moment due to the length of the lever arm. It was noted that hooks originating from trichomes (plant hairs) appear to be weaker that hooks originating from carpels or bracts. This could be due to the fact that trichomes are simpler structures consisting of fewer cells. Three of the species (C. lutetiana, G. aperine, A. eupatoria) are the weakest in tension and they originate from trichomal structures. From Devlin  trichome is a collective noun for all types of outgrowths supported by the cell wall of the epidermal layer. The epidermis is the outermost layer of cells in a plant and its functions include manufacturing the structural material of the plant. A trichome is a plant hair and can be glandular and non-glandular, cellular, multi-cellular, branched or unbranched. Of these three species, G. aperine exhibits a multi-degree of freedom due to, from Gorb , a hollow base. The other two species arise from the surface of the mericarp. minus and G. urbanum, have hooks that originate from the bract and carpel of the fruit respectively and exhibit the strongest contact separation forces. Both have a single degree of freedom due to their origination from a flattened structure. It was observed Velcro hooks are assembled in parallel fields which is similar to the spherical fields of both the A. minus and the G. urbanum. (The following work draws heavily upon the capabilities of CosmosWorks.) Unlike conventional design briefs where a required function is specified with parameters to place constraints on the design, here it is the shape and functionality that is specified for which a suitable material and application is sought (see Figure 1:. The shape and functionality are described and not prescribed but prescriptive tools are used to enhance the description for the purposes of manufacture. 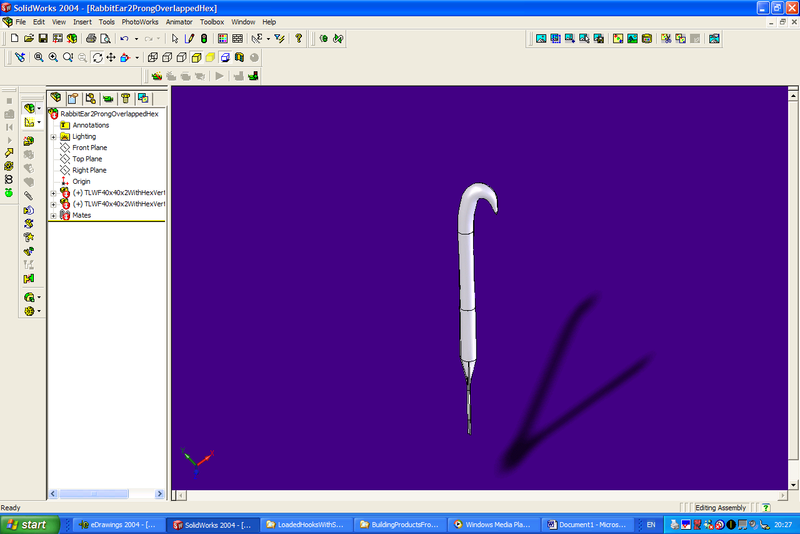 3-d reconstruction from SolidWorks of a burdock hook and shaft. 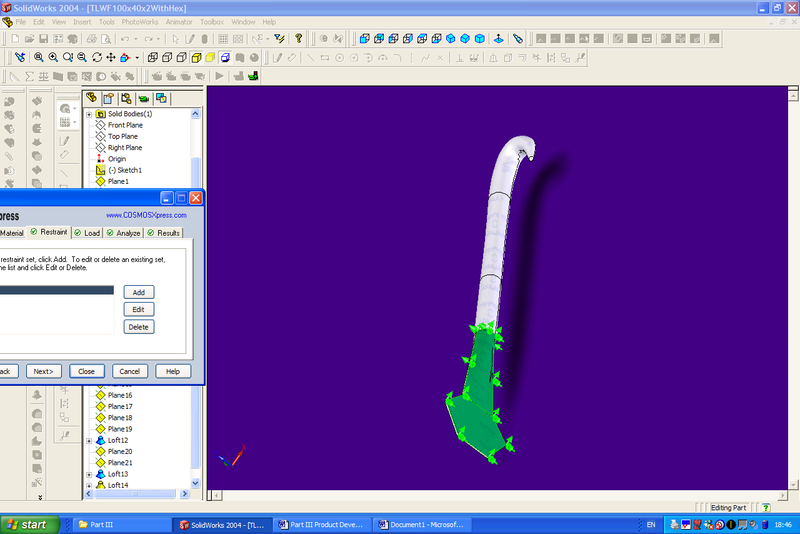 The length of the green section is 120mm in CosmosWorks. (See note below on scale). The structure of the burdock hook consists of a shaft that emerges from a flattened supporting bract. The burdock bract itself is rectangular with the hook emerging from one of the narrow edges. This bract has its own permanent attachment to the fruit pedicle at the base. 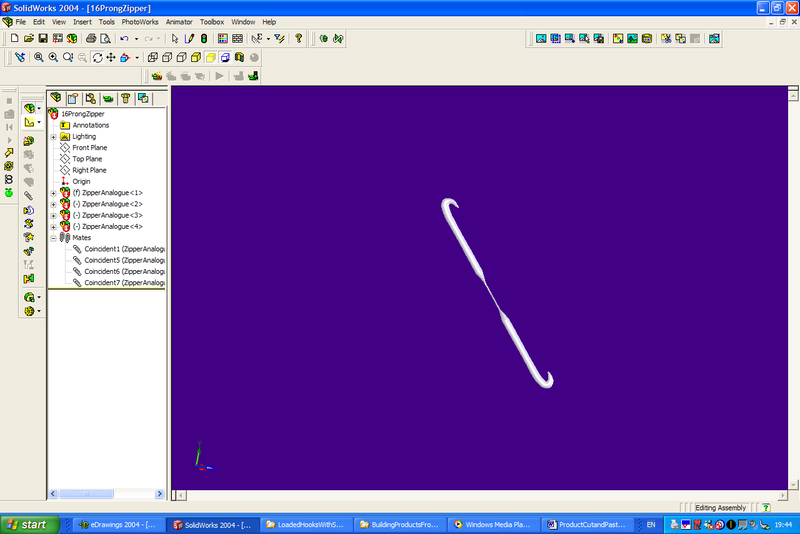 Replicating this bract opens a number of possibilities in terms of hook configurations. See Figure 2: below. Every step that follows in the development of this design must be hand-in-hand with a manufacturing process. This in turn is heavily dependent upon the choice of material and the forming and shaping processes that can be used upon it. It was noted from Part I that, in the fractured hooks, the cellulose microfibrils are all parallel and in alignment with the curvature of the hook. 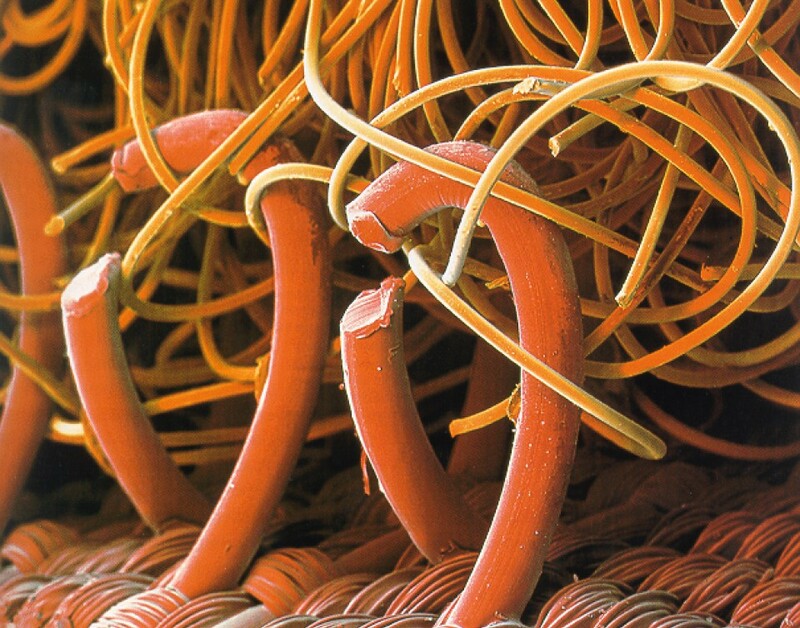 This means that the microfibrils are all subjected to direct stress, either compression or tension. Cellulose is anisotropic in behaviour, absorbing greater tensile stress than compressive stresses. This information can be related to the behaviour of the substitute acrylic shown in Figure 4: to 6 below. The hook is anchored in a manner that mimics its constraints whilst attached to the fruit of the burdock. It is loaded at the tip to deliver the maximum bending moment. The hook shows highest stresses in the internal and external fibres of the shaft and in the underside of the hook which experimentation has shown to be the region of failure. Relating the behaviour of anisotropic cellulose to isotropic acrylic it is concluded that the Neutral Axis of the deformation will shift in the direction of the tensile loading in order to maintain the product of stress/unit area x area about the Neutral Axis (from bending theory). The build-up of material on the shoulder of the hook absorbs additional compressive stresses and so prevents buckling at the hook. The alignment of parallel fibres through the arc of the hook means that there are differing overall lengths in fibres – those on the inner curvature are shorter than those on the outer curvature by a distance approximately equal to the product of thickness x theta, theta being the angle of curvature. As the hook straightens under load these fibres move relative to each other leading to a disruption in the hemi-cellulose and lignin matrix. This prevents crack propagation in accordance with the Cook-Gordon model and leads to fibre pullout as the shorter fibres fracture in tension. 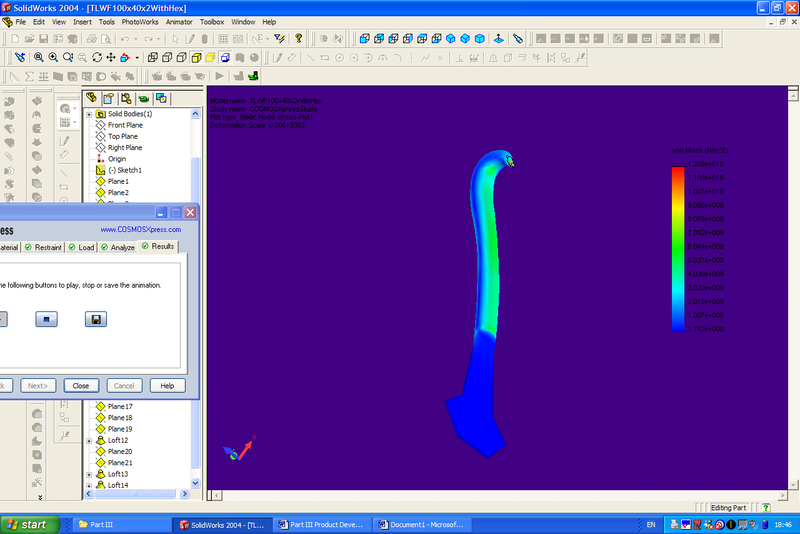 Modularizing the hooks offers many permutations which eventually will have to be modified during the process of material selection and manufacturing process selection and refined by application. In Figure 7: note the hexagonal basal flange is only a single permutation of those available. 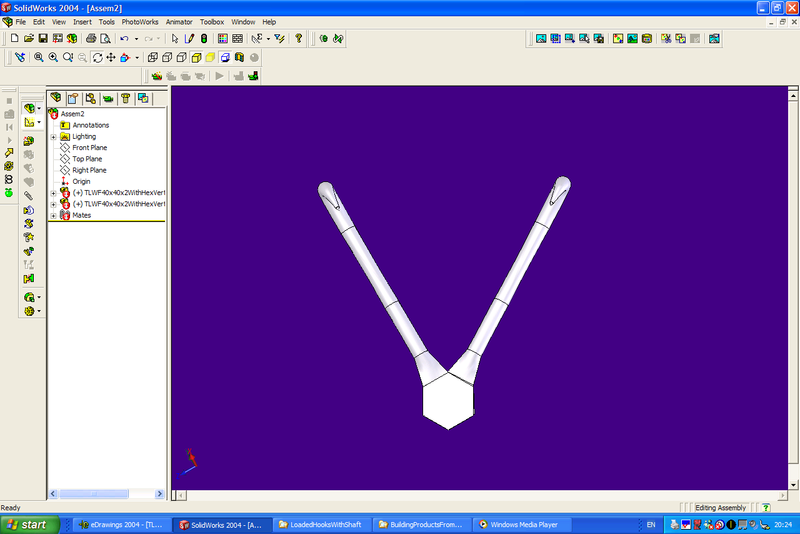 Figure 8: above and Figure 9: below show the profile and isometric views of the zipper mechanism. Note that both rows of hooks face in the same direction. A simple application of this form of plastic attachment could be the application of a name tag to a garment without thread, replacing the use of a safety pin. Figure 10:Figure 11: above show a two pronged configuration utilizing the geometry of the hexagonal basal plate. Clearly this could be expanded to up to six radial hooks, illustrating why the choice was made to develop the modular single hook as a basis. It has been concluded that there are no overt scaling effects associated with Arctium minus hooks (see Part I). Further it was decided that there were design indicators associated with the shape and the freedom of movement of the Arctium minus hooks. These have been utilised in the designs of this paper, having been obtained through the processes described n Part II. 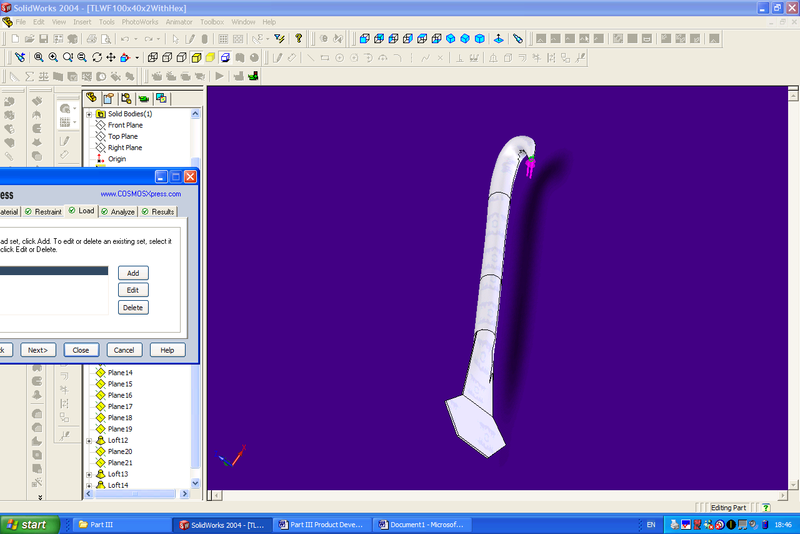 It is now appropriate to move to a rapid prototyping device for the purposes of testing performance and functionality. The modular design makes possible a number of designs and configurations all of which will have properties of their own. The chosen material analogue has a high impact upon design properties in particular its formability and its behaviours under different forms of stress. By reducing the flexibility of the hook under tension, a hook has been produced that closely approximates that of A. minus in both shape and functionality to produce a product that is not Velcro. It will be strong in tension, probabilistic and multi-use although it can be predicted that either the substrate or the hook supports could incur damage during detachment. If used in conjunction with a material weak in shear such as acrylic it could be possible to design for failure, creating a supporting flange that will yield and tear under certain conditions of stress thereby making the attachment device single use and reducing damage to the underlying substrate when energy is absorbed by the tearing acrylic. It will not require a bespoke substrate although it may be possible to optimize attachment performance by comparing performance for different types of substrate. This links to Chapter 4 of the transfer paper, on the mechanics and testing of some species of hooks.